Remember when you parents told you not to eat yellow snow? Guys, do you remember writing your name in the snow when you had to pee? 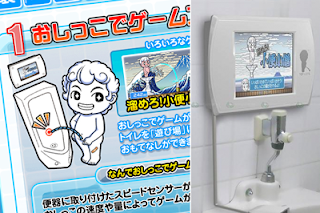 Well, if you never lived in a place that snowed enough for you to enjoy this distinct pleasure, you may have the chance to play games while you pee sooner rather than later. My question is, what does the female version look like?